48. 12/29/15 – Joshua Jones, seriously wounded when shot at by Houston PD officer Casey Curry. 47. 12/25/15 – Jerome Moore, wounded when shot at by Houston PD officer J. Walsh. 46. 12/12/15 – Fernando Guerrero, seriously wounded when shot at by Houston PD officer Mark Alva. 45. 11/17/15 – Jeray Chatham, was shot and killed by Harris County Sheriff's officer Roberto DeLaCruz. Officer DeLaCruz was "No Billed" on 5/25/16. 40. 10/16/15 – Jeffrey Womack w/m, 27, killed when shot at by Houston PD officer Steven Hamala, w/m, 52. Officer Hamala was "No Billed" on 5/18/16. 37, 38, and 39. 10/15/15 – Martin Ryans, killed, Chris Jones and Travis Curtner, seriously wounded, when shot at by Houston PD officers Hilario Torres and John Sanders. 36. 10/9/15 – John Garza, seriously wounded when shot at by Houston PD officer Rodrick Caldwell. Officer Caldwell was "No Billed" on 4/20/16. 32, 33, 34 and 35. 10/9/15 – Michael Robinson, Jordan Freeman, Larry Eagans and Albert Sherman. 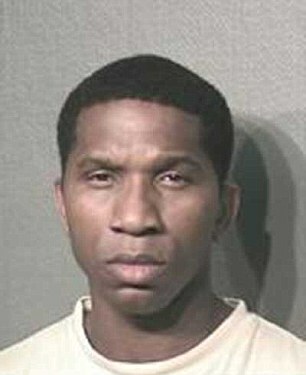 Robinson was seriously wounded when shot at by Houston PD officer, John Yencha. Freeman, Eagans and Serman were not injured. Officer Yencha was "No Billed" on 4/22/16. 31. 10/6/15 – Dexter Martin, seriously wounded when shot at by HCSO officer Deshawn Davis. Officer Davis was "No Billed" on 4/20/16. 30. 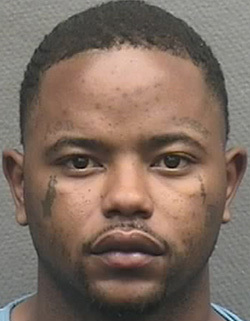 9/5/15 – Jeramia Allen, seriously wounded when shot at by Houston PD officer Robert Pilling. Officer Pilling was "No Billed" on 3/23/16. 29. 8/27/15 – Alan Pean, seriously wounded when shot at by Houston PD officers Oscar Ortega and Roggie Law. Both officers were "No Billed" on 11/17/15. 27. 8/3/15 – James Gressett, wounded when shot at by HSCO officer Daniel Best. Officer Best was "No Billed" on 2/19/16. 26. 8/2/15 – Virgil Reynolds, killed when shot at by Houston PD officers Christopher Meade and Luis Fuhlbrigge. Both officers were "No Billed" on 4/13/16. 24. & 25. 7/22/15 – Helder Flores and Anton Mawhood, seriously wounded when shot at by Houston PD officer Thomas Harris. Officers Harris was "No Billed" on 3/18/16. 23. 7/20/15 – Juan Ibarra, killed when shot at by HCSO officer Tu Tran. Officer Tran was "No Billed" on 3/18/16. 22. 6/21/15 – David Marshall, killed when shot at by a HCSO officer, Ben Russell. Officer Russell was "No Billed" on 3/2/16. 21. 6/9/15 – Gregory Hartley, killed when shot at by 3 Tomball PD officers, Richard Grassi, Bill Knight and Scott Martin. All officers were "No Billed" on 5/4/16. 20. 6/3/15 – Edelmiro Hernandez, killed when shot at by Houston PD officers Bradley Kohlafer and Paul Steffenaner. Officers Kohlafer and Steffenaner were "No Billed" on 12/3/15. 17. 4/17/15 – Melony Garcia, wounded when shot at by Houston PD officer Ruben Estrada. Officer Estrada was "No Billed" on 12/1/15. 14. 4/12/15 – David Chartier, wounded when shot by HCSO officers Eli Claiborne and Keith Maeweather. Officers Claiborne and Maeweather were "No Billed" on 12/10/15. 12. 3/31/15 – Benjamin Quezada, killed when shot at by Baytown PD officer Lee Edmonson. Officer Edmonson was "No Billed" on 9/28/15. 11. 3/5/15 – James Sanchez, wounded when shot at by 3 Pasadena PD officers Dana Bearor, Victor Yanez and Jeffrey Mubarak. Officers Bearor, Yanez and Mubarak were "No Billed" on 8/19/15. 10. 2/20/15 – Alejandor Salazar, killed when shot at by TDCJ officer Dustin Shrell and an U.S. Marshal Chris White. Officers were "No Billed" on 12/22/15. 9. 2/15/15 – Saul Danny, seriously wounded when shot by Tomball PD officer Johnny Sampson. Officer Sampson was "No Billed". 8. 2/11/15 – Jason Jackson, seriously wounded when shot by Humble PD officer Thomas Hudson. Officer Hudson was "No Billed" on 8/5/15. 7. 2/1/15 – Hung Trieu, killed when shot at by by HCSO officer Anthony Yet. Officer Yet was "No Billed" on 3/4/16. 6. 1/31/15 – Victor Reyes, killed when shot at by HCSO officer Javier Rojas. Officer Rojas was "No Billed" on 1/27/16. 5. 1/16/15 – Marcus Kees, wounded when shot by HCSO officer Kelly Huey. Officer Huey was "No Billed" on 11/30/15. 4. 1/16/15 – Phillip Garcia, killed when shot at by Houston PD officer Wesley Blevins. Officer Blevins was "No Billed" on 9/2/15. 3. 1/14/15 – Rudy Garay, wounded when shot by and Pasadena PD officers Douglas Burchart and Nicholas Hurst. Officer Hurst was "No Billed" on 9/30/15. 2. 1/19/15 – Ismael Garcia, seriously wounded when shot by Houston PD officer Ramnik Saini. Officer Yencha was "No Billed" on 10/30/15. 1. 1/9/15 – Omar Campos, wounded when shot by Houston PD officer Luis Castillo. Officer Castillo was "No Billed" on 5/18/16.